This semester, I spent a lot of time on public transportation. Since September, I have taken 15 Amtrak rides, average train ride 3 hours 20 minutes, for a total of 2 full days on Amtrak, and then there are all the subway rides to and from the train station in two cities, as well as weekly transportation to and from school. All this time spent on modes of transportation made me think about not only what constitutes a good system, but about American’s beliefs about public transportation and how our public transportation systems represent nationalism and identity. Amtrak is America’s National Railroad Passenger Corporation – government-owned and a supposed symbol of nationalism. In comparison to any other developed country, our rail system is basic, used infrequently (primarily by East Coaster-ers), impersonal, and inadequate. Transportation systems reflect economic and cultural beliefs. In my Globalization: Challenges for Developed Countries class, we discussed how the building of infrastructure, and more importantly constantly innovating infrastructure, is a hallmark of being a developed country. Europe and Asia have been actively developing their train networks and super-fast trains for decades. In America, our history shows that we tend to steer away from mass public transportation systems in favor of cars, buses, and highway systems. Most infamously, Los Angeles tore out their entire mass transit streetcar system by the 1960’s in order to make way for buses. The Great American Road trip is an iconic vacation many families take- it is not the Great American Train or Subway Trip. The recent economic downturn has prompted an $8 billion investment in high-speed rail in the U.S., so we will have to see if the development occurs and if ridership increases, as in America we tend to hold cultural beliefs about public transportation. Why is there not a subway to Georgetown University? Popular understanding is that residents/administrators fought to not have a metro stop there in order to keep the riff-raff out – since riff-raff are the people who use public transportation systems. While there are beliefs about how to design and implement transit systems that reflect nationality, the experience of taking a subway/train/bus also relates to nationality and identity. A recent NY Times article revealed the woman behind the voice on the subway system. A professional transit announcer, Mrs. Hopkins actually hasn’t ridden on a New York City subway since 1957. While I thought it was interesting to finally be able to put a face to a voice, so to speak, the comments on the article added another interesting layer. Most people commenting were very upset that Mrs. Hopkins wasn’t a New Yorker, that the job wasn’t given to a struggling actor, and wished that she had a New York accent to make people really feel as though they were in New York City. I have always enjoyed a pleasant sounding woman reminding me I had reached my stop, and aren’t there enough people talking on the trains with their New York accents already (apparently myself included)? What makes a transit system recognizable within their city and culture? London has been successfully able to integrate their brand of public transportation with their brand of the city – the iconic red double decker buses. So what makes public transportation speak to nationality? Is it the innovation, the technological advances that prove our economy is doing well? Is it reflecting the culture of the city? Is it the acceptance of public transportation as a public good? 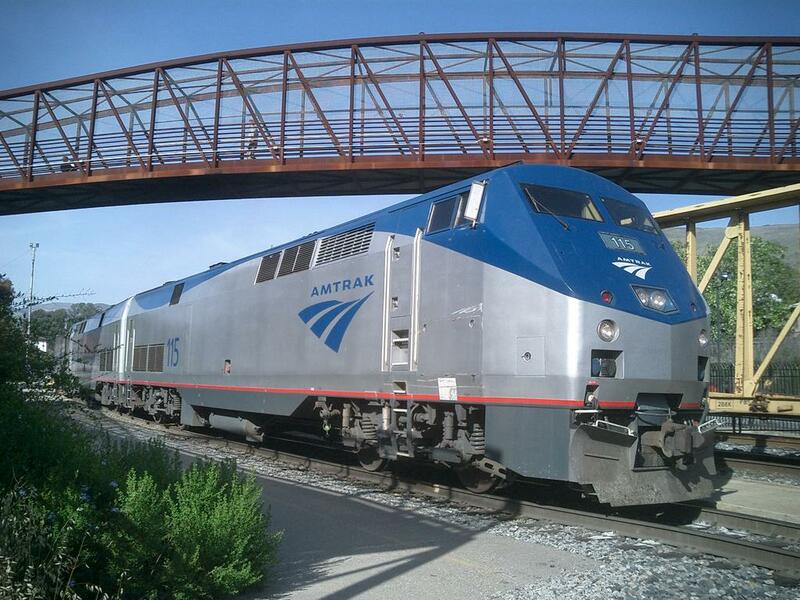 There are many more Amtrak rides to be taken, and I want to wish everyone safe holiday travels!